Fantasy football is not just for the guys. Data from American Express shows 22.9 million women play in fantasy leagues online. This means 1 in 5 women are involved in the sport. Wendi Harris and her girlfriends have played in the same Denver-area league for six years. 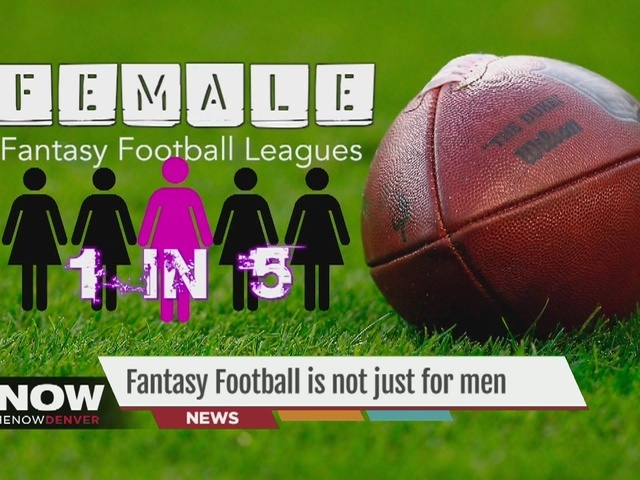 "I love telling people we have a female fantasy football team, especially men,” said Harris. “They're shocked. They ask me statistics on players and I can actually tell them." Their league commissioner says the relationships they make playing fantasy football also carry over into other areas of their lives. "It gives us something to bond over,” said Jennifer Wolf, league commissioner. “Honestly, at first, I was not that much of a football fan, but I just jumped in." Data shows the majority of women play for money, spending an average of $75 on leagues every season.